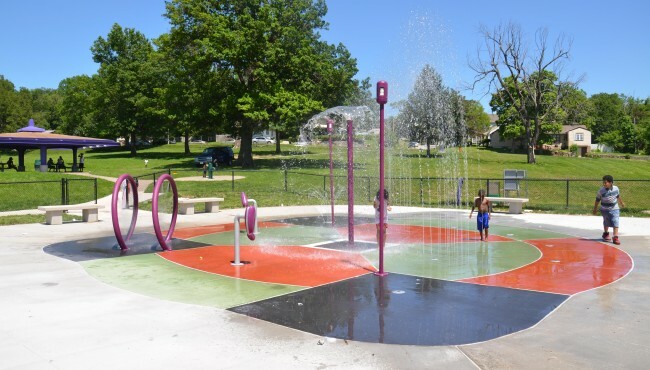 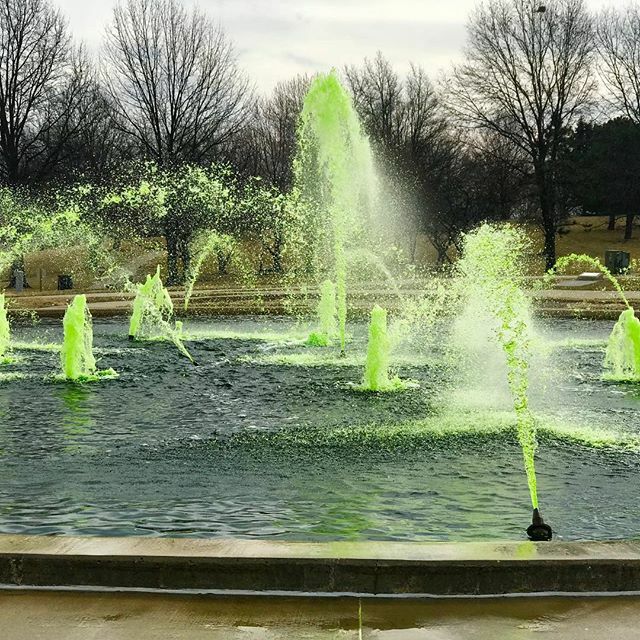 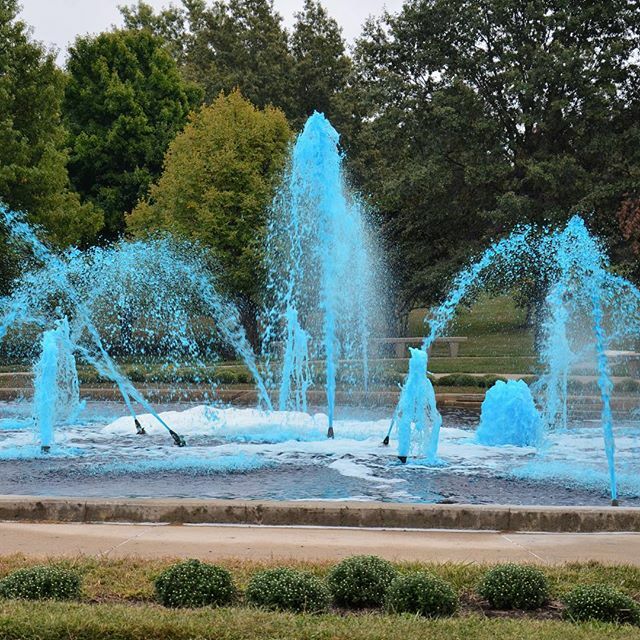 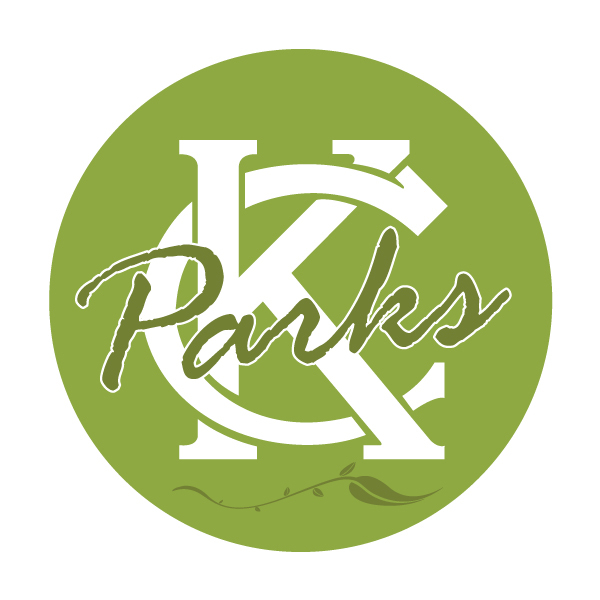 This fountain, located in Kansas City North in Anita B. Gorman Park, is one of two fountains that runs year round. 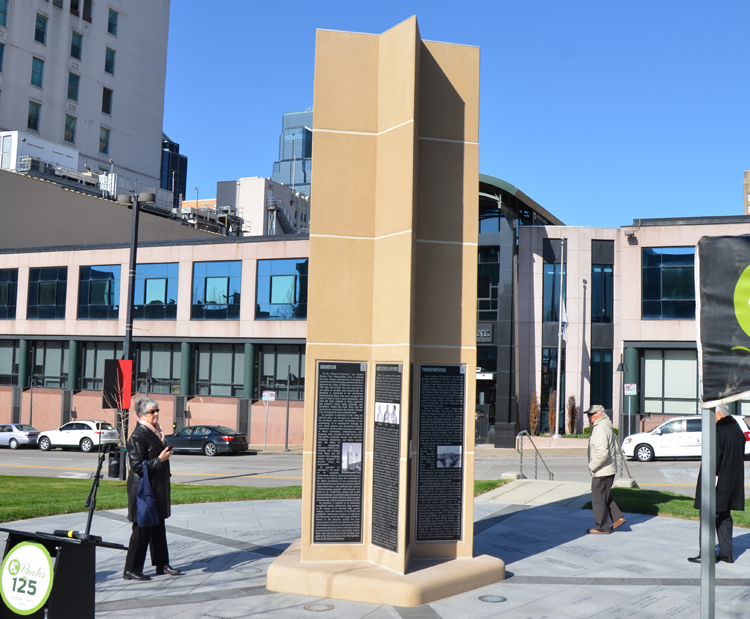 It has also been called the “Spirit of Cooperation”, because it illustrates the unified effort of the public and private sectors worked together to achieve a common goal. 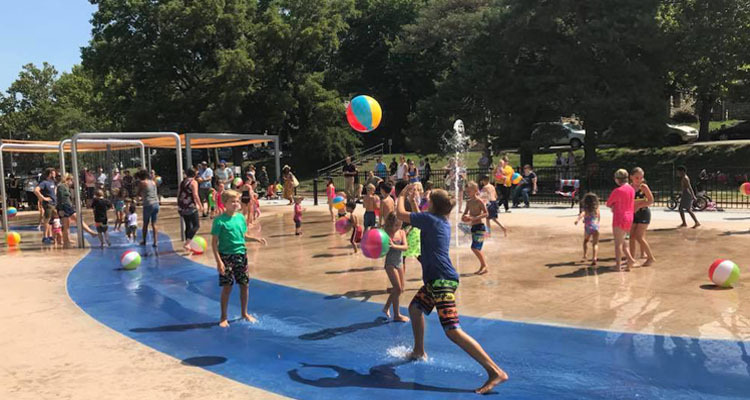 Its benefactors range from Farmland’s $30,000 contribution to a three-cent donation from a schoolchild. 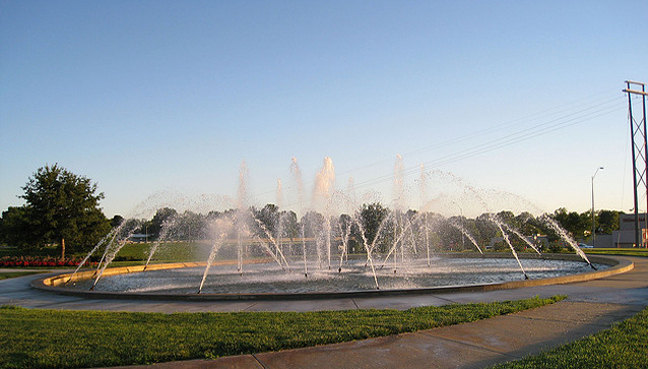 An 80′ circular base contains a center geyser which can propel water to a height of 35′. 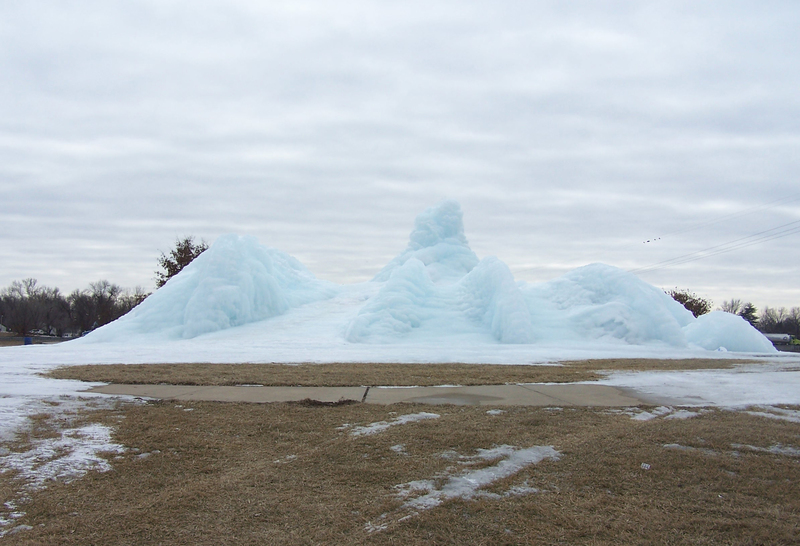 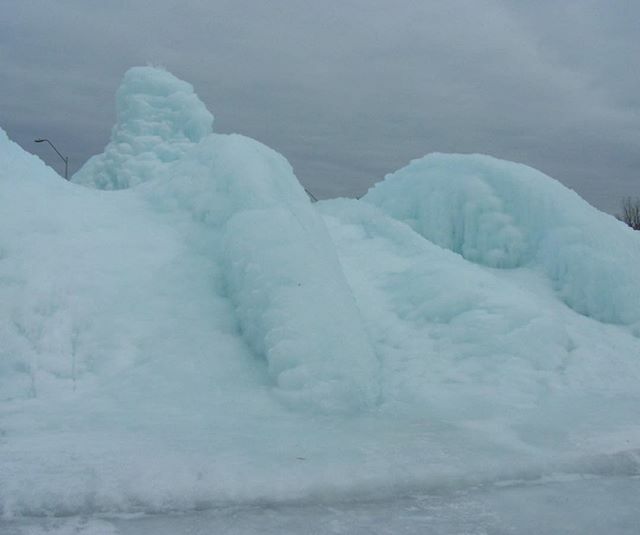 In winter it becomes an ice sculpture attracting people to view varied shapes created by the frozen water.